Owen, R., Bessant, J., Heintz, M., (Eds. ), 2013. 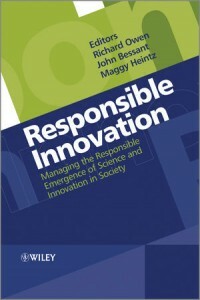 Responsible Innovation: Managing the Responsible Emergence of Science and Innovation in Society, Wiley: Chichester. A timely publication, echoing the recent growth of interest in Responsible Innovation (RI), this edited volume brings together a comprehensive set of perspectives in this vibrant new field. The direction of socio-technical trajectories and the means to (re-)orient them towards desirable ends – in this case under the flagship of responsibility – are questions that scholars of science and innovation policy are increasingly concerned with. 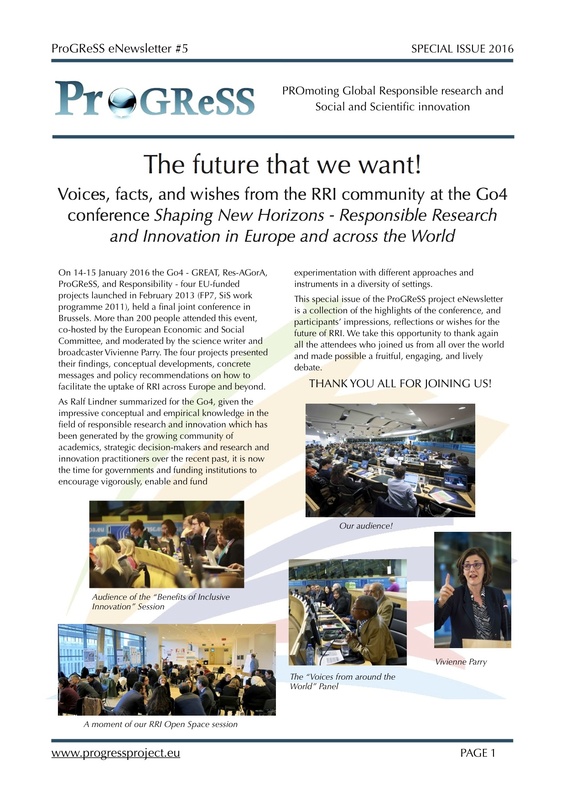 Responsible Innovation, we are told, promises to address the systemic irresponsibility associated with innovation, to put grand societal challenges at the heart of innovation efforts, and to allow for a deep reflection on purposes and motivations, through values rather than rules. The book comprises of multidisciplinary contributions ranging from Philosophy to Business Studies, through Sociology and Technological Studies. 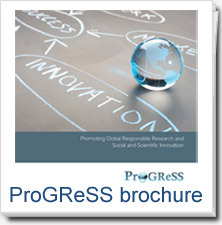 It is articulated around addressing an ambitious challenge: how can we collectively and democratically orient science and innovation efforts towards societally desirable goals? This volume offers both theoretical reflections (chap.1-8) and real-world accounts of efforts being made to address the aspirations of Responsible Innovation (see especially chap.9-13). Contributions complementarily attend to the challenges and motivations of Responsible Innovation (chap 1-3), user perspectives, interaction and deliberation (chap 5, 12), societal aspirations (chap 1, 3, 13), governance arrangements and tools (chap 2, 8, 4, 9), and ethical reasoning and practice (chap.7, 6, 11). This publication provides a welcome overview of the current approaches and activities in the field. As such, it is enlightening read that doesn’t shy away from critical tensions and challenges (see particularly chap 1, 7, 8).